Red Mill was another one of those “Can’t leave town without eating there” burger places. Slightly outside downtown Seattle limits in North Queen Anne, we took a 15 minute bus ride to this little roadside delight which is a reincarnation of the 1937 original that was located in Capitol Hill. They serve up flame broiled 1/4 lb patties and are cash-only, so bring your friends Abraham Lincoln and George Washington along for the trip. Down the coast, we headed to Little Big Burger in Downtown Portland, where they’re serving up 1/4 lb. of cascade natural beef, local cheeses, organic veggies and Camden’s catsup on tiny brioche buns. I got mine with Tillamook cheddar, mostly just because it’s fun to say ‘Tillamook”. It was cooked to order and had a nice, pink center – and looked totally cute! (I love when my food looks cute.) They also had truffle fries, which reminded me of 500 degrees here in Philly – but they were definitely not hand cut and probably frozen, which gave them a strange taste when mixed with the truffle oil. Winner of Round 2: Red Mill Burgers for sure. 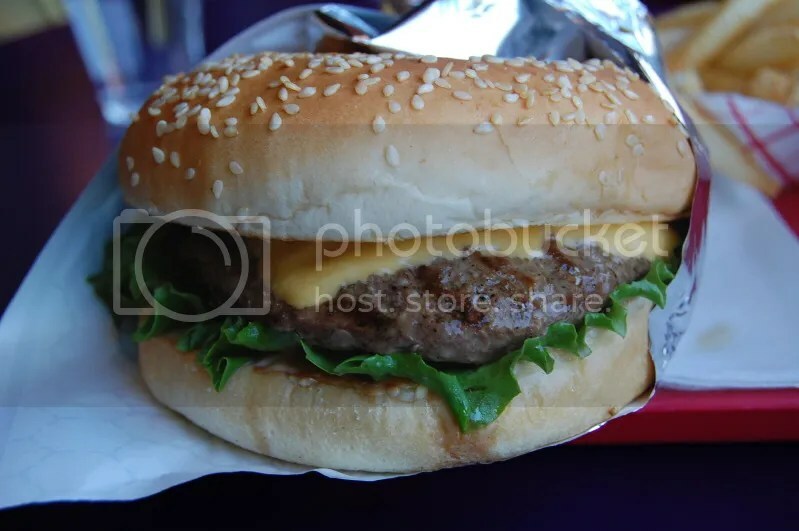 The classic, Whopper-esque taste definitely gave it the edge over Little Big Burger. 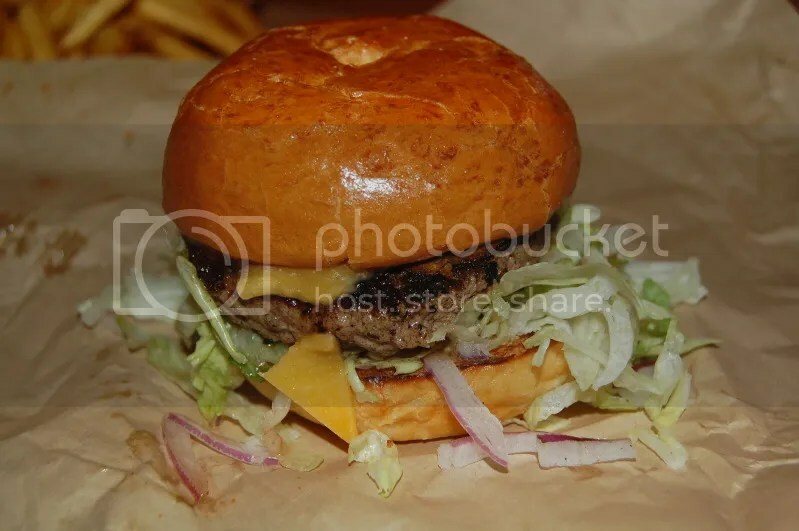 Posted in buns, burger, burgers, PDX, Portland, seattle, Uncategorized. Bookmark the permalink.